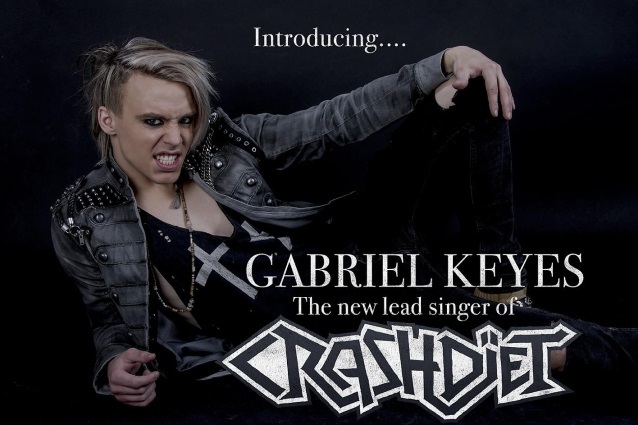 Swedish sleaze rockers CRASHDÏET will launch a brand new single on New Year’s Eve to mark their return with new frontman Gabriel Keyes. The group made its comeback official in the December edition of Sweden Rock Magazine, revealing the band’s collaboration Keyes, a Stockholm-based singer who is CRASHDÏET‘s fourth vocalist. 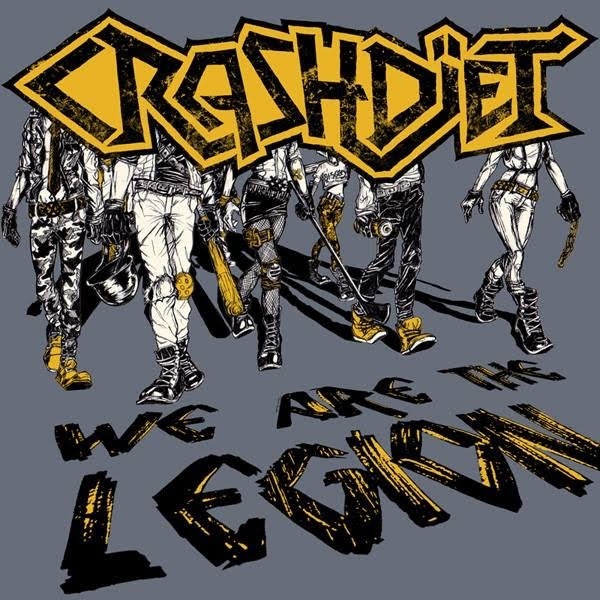 CRASHDÏET was previously fronted by Dave Lepard (2000-2006), H. Olliver Twisted (2007-2008) and Simon Cruz (2009-2015). “We Are The Legion” was written in November and was recorded earlier this month. It will be made available through CRASHDÏET‘s own label imprint, Diet Records. “We Are The Legion” was produced by Eric Bazilian, who can also be heard playing the acoustic guitar in the mesmerizing intro of the track. The song was mixed by Chris Laney, who also worked on CRASHDÏET‘s debut album, “Rest In Sleaze”. The drums were recorded by Björn Samuelsson at Samuelsson Music And Sound Studio. It was mastered by Classe Persson. The artwork was created by Christel Mentges and can be seen below. “We Are The Legion” will be released on YouTube and as a free download on December 31. It will be made available on streaming platforms such as Spotify and Apple Music on January 8, 2018. CRASHDÏET‘s most recent release was the “Live In Sleaze” album, which was recorded in 2005 and features Lepard on vocals. Former CRASHDIET singer David Hellman (a.k.a. Dave Lepard) was found dead on January 20, 2006 at his apartment in the Swedish city of Uppsala, north of Stockholm. It was reported in several places that he hanged himself, although this was never officially confirmed. CRASHDIET‘s latest album, “The Savage Playground”, entered the official chart in Sweden at position No. 2. The CD was released in January 2013 via Frontiers.